I'm still a fan of using coffee mugs as pen holders; many of us have way more mugs than we need, so why not put one to another good use? 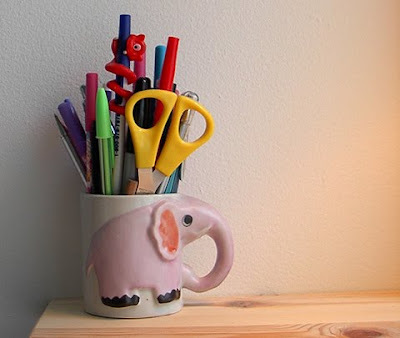 But if you'd like a pencil cup that isn't a coffee mug, look at the following options! 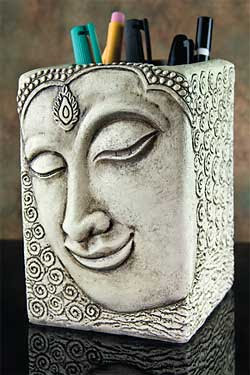 Let's start with these beautiful pencil holders from Galison/Mudpuppy. The patterns come from woodblocks in the Victoria and Albert museum; not surprisingly, the museum shop also sells these pencil cups. Update on Jan. 22, 2013: I'm no longer seeing these pencil cups of the V & A web site, or the Galison/Mudpuppy web site. 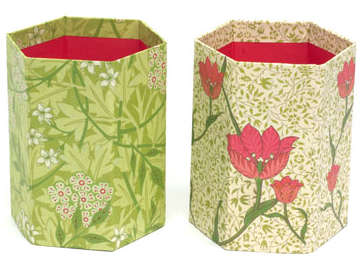 I'm also very fond of these pretty pencil cups from SuzyJack, available in six patterns, and made with recycled paper. They come with 22 pencils, too. 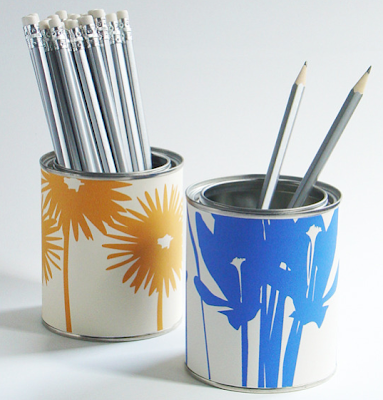 Thomas Paul also makes nice pencil cups, available from See Jane Work, RedStamp.com and doe. 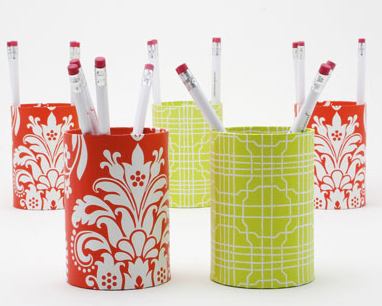 Update on Nov. 7, 2010: These pencil cups are no longer available. 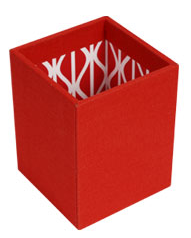 Heading out to Australia, we can find this cloth pencil cup from kikki.K. Update on Jan. 22, 2013: The company no longer sells this pencil cup. 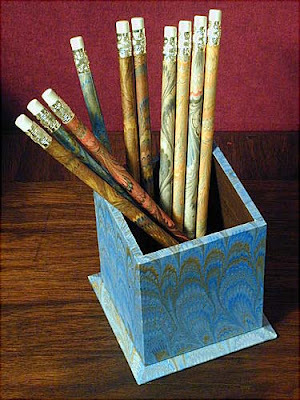 And this is just one of the many beautiful pencil cups made by Il Papiro, in Firenze. 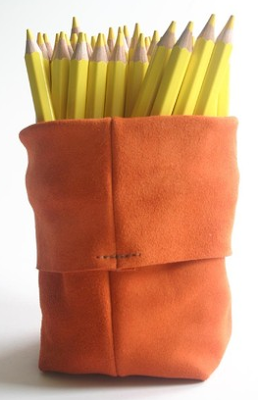 Over on Etsy, Little Black Duck sells these suede storage bags which readily serve as pen pots. [via Apartment Therapy] Update on Nov. 7, 2010: I no longer see these at Little Black Duck. Want something funkier? 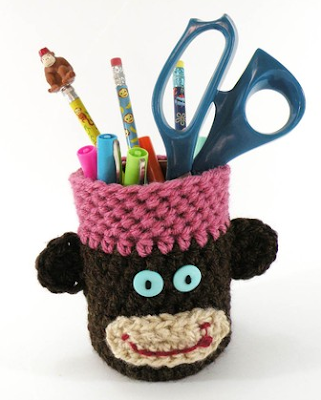 Etsy seller Monkey Travel Club has this monkey pencil cup; there's also an owl version. Update on Jan. 22, 2013: I'm no longer seeing this pencil cup. 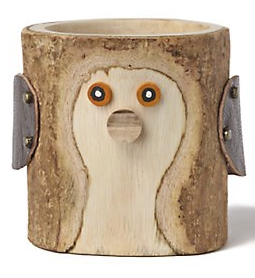 Staying with critters for a moment, we have this oriole pencil cup. (I wish the whole collection were available!) [via Sparkle Paradise] Update on Nov. 7, 2010: I can no longer find any source for these pencil cups. 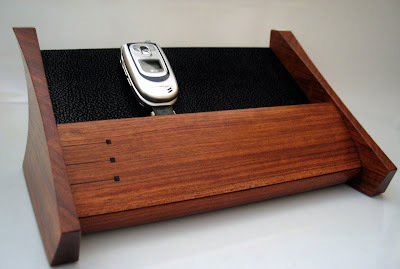 Here's a different sort of hand-crafted wood pen holder. 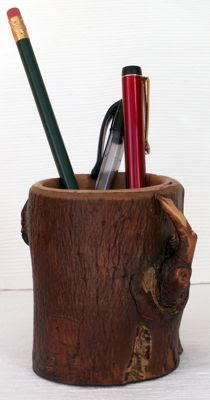 And finally, here's a totally different pencil holder. My August 2009 newsletter is now available. Organizing Product of the Month: PJ Pocket Pillow - on sale, half off! Tired of your basic boring closet doors? Armadi closets, based in Florida, can provide a whole range of alternatives; see the company's wonderful closet door photo gallery. 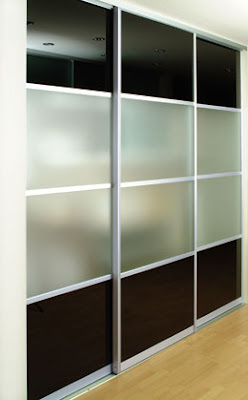 The Sliding Door Company has just what you'd expect! 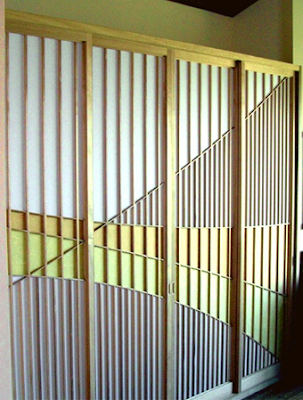 A Way With Furniture, in the U.K, provides bespoke wardrobe sliding doors. 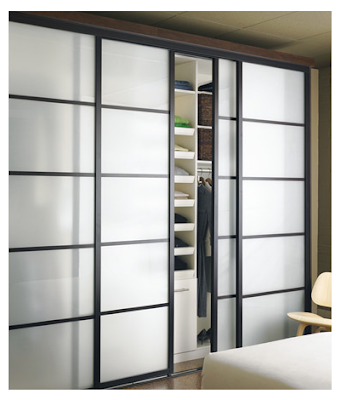 And Robe Design in Ireland has some pretty eye-catching sliding wardrobe doors. Or you could get a wilder one; this one also comes from Berkeley Mills. Don't want to buy new closet doors? 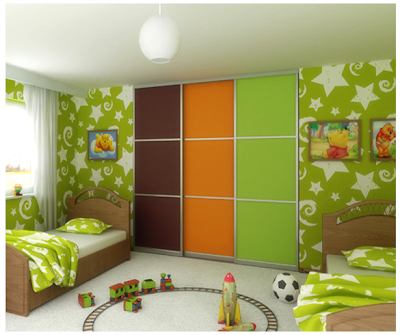 You could consider painting or wallpapering the doors you have. Professional organizers are always looking for unused storage space - and sometimes that means looking at the walls. 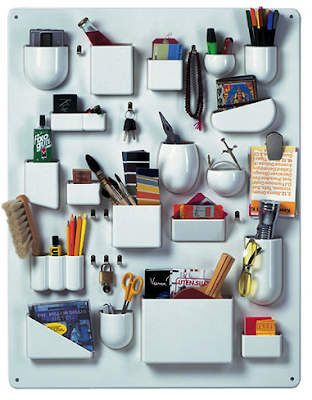 Depending on your needs, you might want to add some shelving - or some sort of memo board. But here are some other fun ways to use the walls. 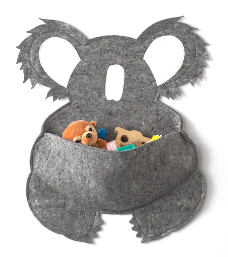 Let's start with the koala pouch shown above; there's a pelican version available, too. 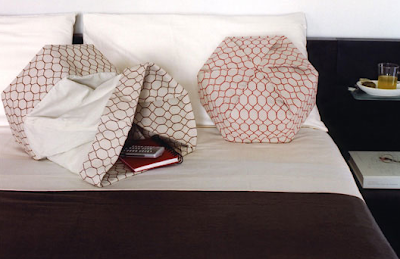 [via Inhabitots and Apartment Therapy] Update on August 15, 2011: I can no longer find these products. If you're into retro stuff, you might like uten.silo from Vitra, a plastic design from 1969-1970, still available for purchase. 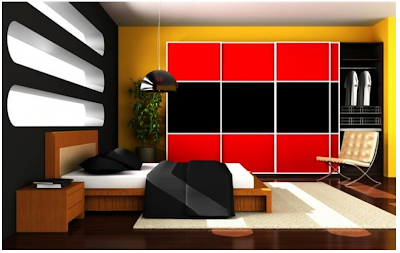 It comes in two sizes and three colors - white, black, and red. It's widely available. And since it's been two years since I first mentioned Droog and the strap, by NL Architects, it's time for a reminder about this unusual product. Here's another site selling the strap; it has a different picture, which might be helpful. 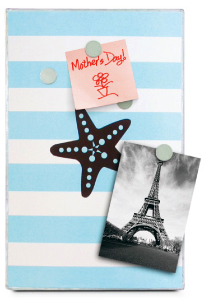 Prefer a magnet board to a bulletin board, a memo board or a chalk board? 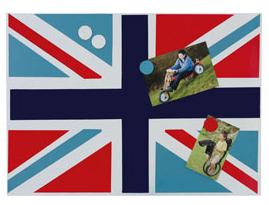 Let's look at some of your options - starting with this Union Jack magnetic notice board. 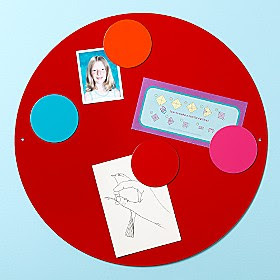 Or maybe you'd prefer a not-so-simple round magnetic board. Update on Sept. 5, 2010: These came from Oliblock, and it seems they are no longer being sold. 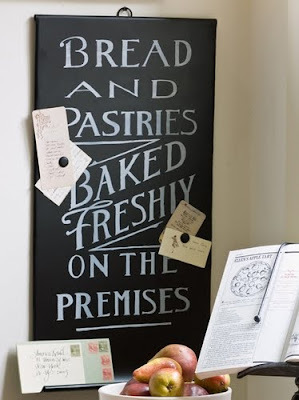 This Old Bakery magnet board is made from recycled metal. Update on Feb. 20, 2011: Or so said the site I originally found it on - which no longer sells this item. The site I've now found it on doesn't indicate if it's recycled metal or not. The Macbeth Collection has magnetic boards in well over 100 designs. 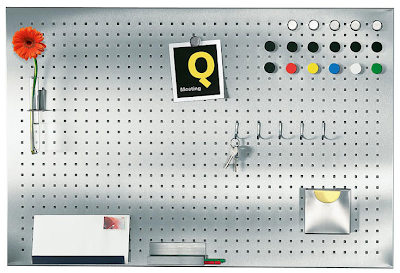 This magnetic board has a pegboard-style design lets you use hooks and other accessories. Update on Sept. 5, 2010: Topdeq is no longer selling its products in the United States, but it does sell in many European countries. I've linked to the French site, but there are a number of others. 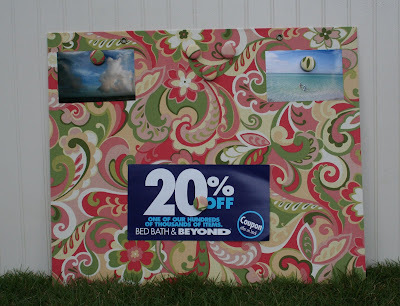 And then there are the magnetic boards available from a number of Etsy sellers, all of whom offer a number of patterns, and many of whom provide matching magnets - sometimes included, sometimes for an extra fee. 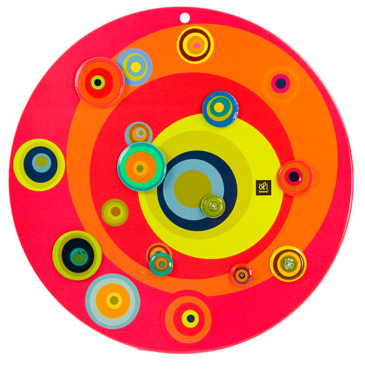 This magnetic board comes from Design4u. Update on Feb. 20, 2011: I'm no longer seeing magnetic boards at this site. 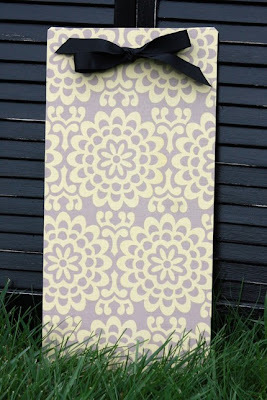 This fabric magnet board comes from Stick To It. 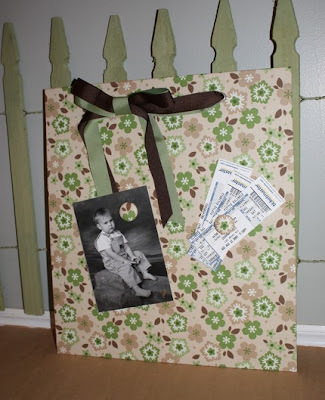 Magnetic Memories makes fabric-covered magnetic boards in four sizes. Update on Sept. 5, 2010: This Etsy shop no longer exists. Here's a magnet board from TootsbeeZ. Update on Sept. 5, 2010: This Etsy shop no longer exists. 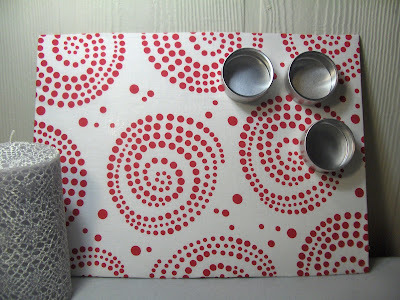 And finally, there are the many lovely magnetic boards from Steel Dreaming Design. Other Options: Hardenbrook Studio makes some lovely magnet boards, which come with magnets that match the theme of the board. You can get many of them through Elizabeth's Embellishments. Unfortunately, the pictures of the boards have a copyright notice, so I can't include a picture here. A place for everything, and everything in its place. These scissors all come with their own holders - so "their place" is pretty obvious. First up is the Edward Scissors Caddy, from Koziol. 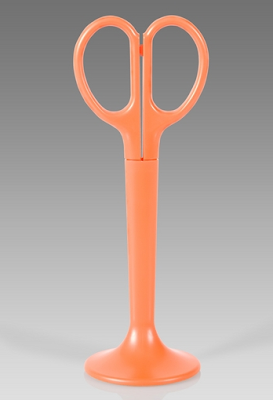 Pylones has these scissors with the bunny holder. 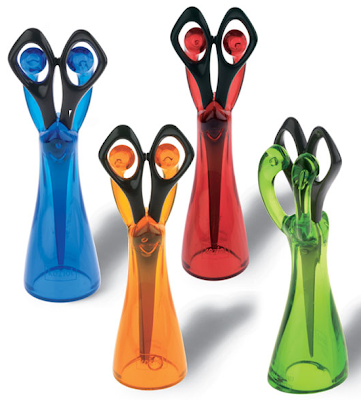 And here are some rabbit scissors where the scissors stand on their own! They come in four different colors. 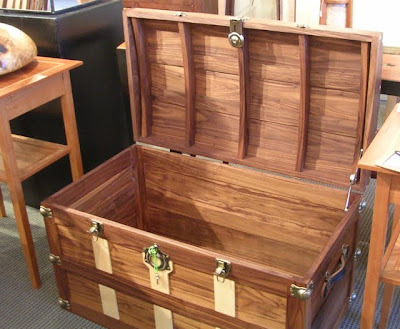 I've been admiring the many lovely wood items at Gallery M for ages now - and have bought some smaller items. 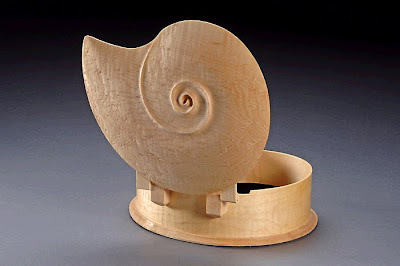 It's a gallery dedicated to high-quality woodworking, carrying the work of many different artisans. So I don't know why I never thought of featuring the many storage options available at this remarkable store until I walked into the place on Friday. Owner Andreas Strieve was kind enough to send me some great photos - so you'll be seeing a combination of my snapshots and his much better photos. 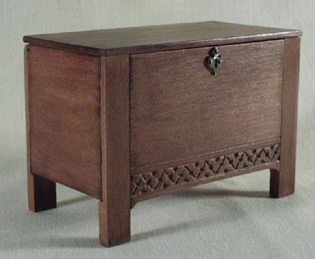 There are a number of stunning furniture pieces, such as this hope chest - as well as various chests of drawers, and nightstands, and desks with drawers. But I'm going to mostly focus on the smaller items. One that really caught my eye was the charging station, which handles five items. The one I saw cost $149. It comes in a number of different woods, as you can see. 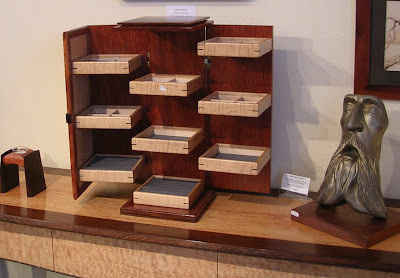 And then there are the beautiful wood jewelry boxes. The interiors are lovely, too! This one doesn't look like much when it's closed - it's just a wood cube. But when it's opened - oh my! 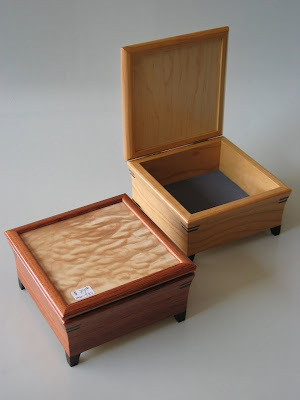 You can get small boxes, like these. 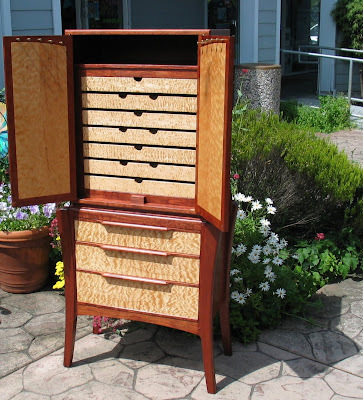 Or a large jewelry chest, like this one. And it's not just about how beautiful these are, but also how well-made - something you can't convey through pictures on the web. Do You Have Room for the Mediocre? Some of my clients, who have abundant lives, have homes they find distressing because there's just too much stuff. I've often asked people, "Do you love that thing, or is it just OK? And do you have room for things that are just OK?" 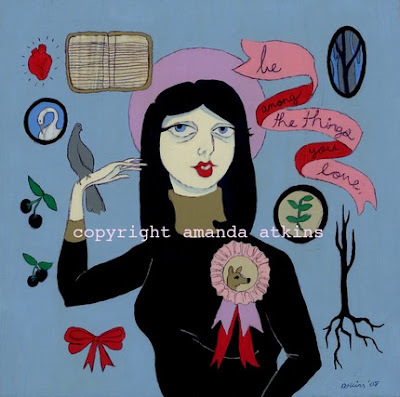 So I was delighted when We Covet pointed me to this wonderful print from Amanda Atkins: Be Among the Things You Love. For more reading on this theme, you could turn to Small Notebook, where Rachel writes about having a "home free of clutter, with just the things that make you smile." She notes there will be exceptions - "a few things that are good to own even if they don’t make you happy to look at them (the toilet plunger, for instance)" - but you could even get a toilet plunger that makes you smile, if you really wanted to. 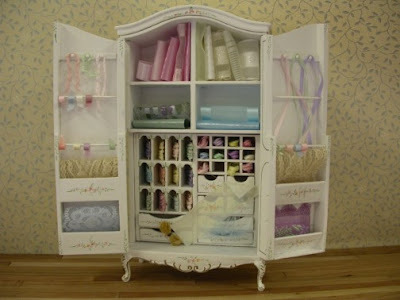 Want to furnish the dollhouse for organized living? 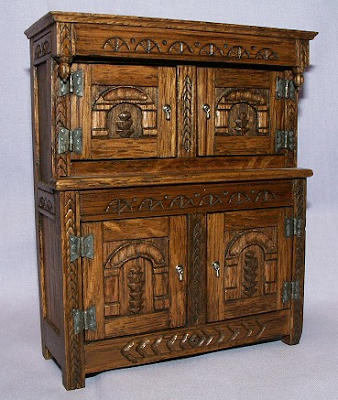 Let's take a look at some of the neater furnishings you could consider - starting with this miniature sewing armoire. 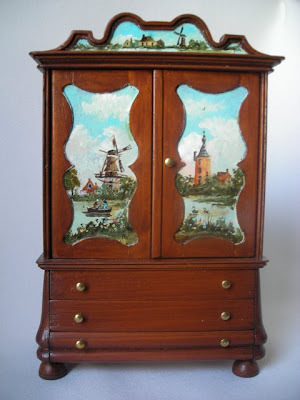 Update on June 19, 2013: Earth and Tree no longer has this armoire, but does have many other miniatures. 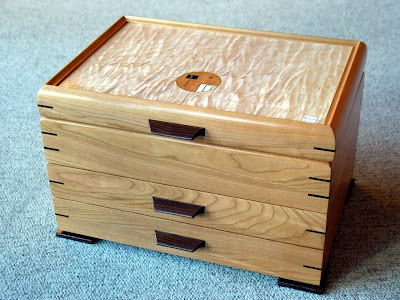 I've written about pie safes - but who knew you could buy a pie safe for your dollhouse? 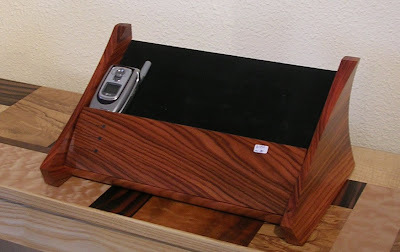 Update on June 19, 2013: The site that sold this specific pie safe is gone, but there are others. Here's a miniature pie safe from Shaker Works West. Ann High makes some lovely and unusual miniatures. This is her miser's chest, which she says is "based on the chest in a painting by Hieronymous Bosch." Colin Bird does some great miniatures, too. 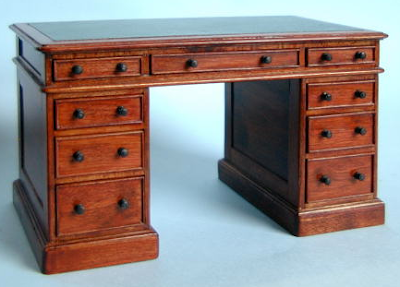 While he seems to specialize in chairs, he also makes some other neat pieces, like this pedestal desk with a real leather top. 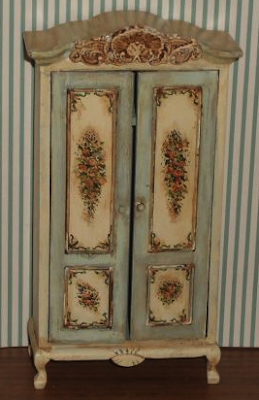 Margie's Petite Palette offers hand-painted miniature cabinets and hutches, including this armoire. 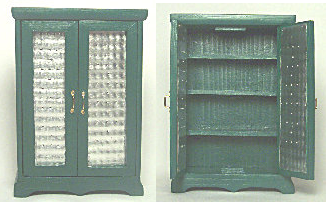 And Alice offers some amazing miniature armoires, too. 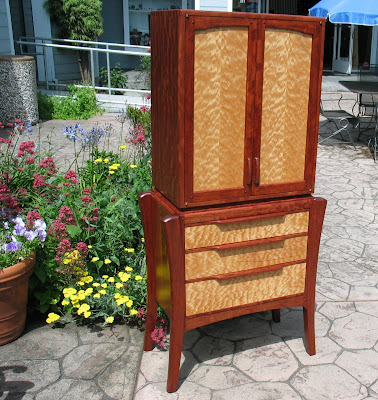 Update on July 25, 2015: The site that sold this armoire has disappeared. But I think I may have found the same Alice on a new site, which also has wonderful armoires. Wendy has a very specific niche; she makes enchanting miniature display cases and tables - for those collections of shells, rocks, etc. And of course, (almost) every house needs a place for books. 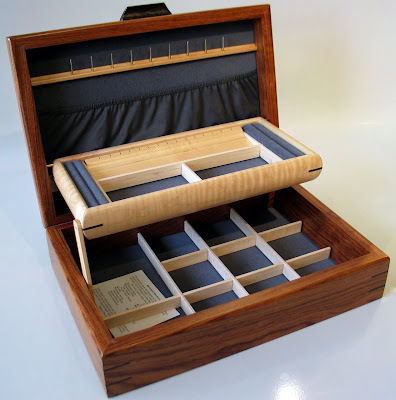 Note that the shelves on this miniature bookcase are adjustable. But not all organizing products are big pieces of furniture. 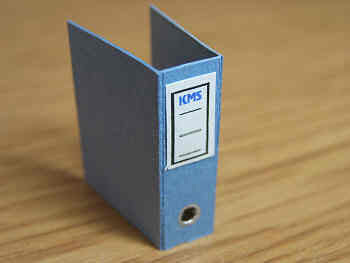 We also have the more prosaic binders, magazine files, and such. 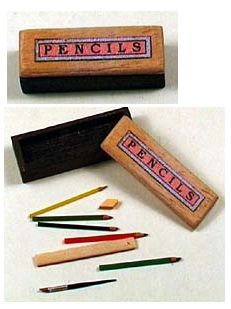 And how about a miniature pencil box from Chris Sturgess-Lief? 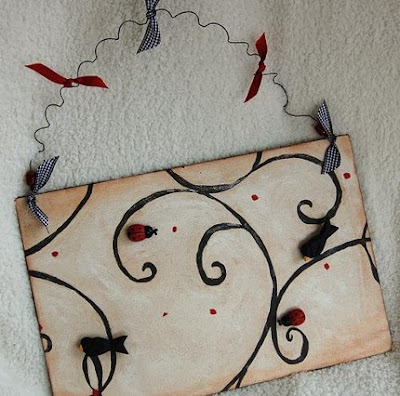 He can also provide you with some lovely mahogany coat hangers.) Update on June 10, 2013: Sadly, Chris Sturgess-Lief died in 2011. 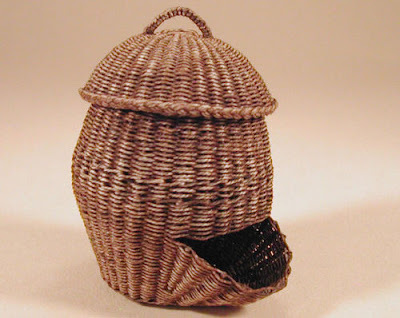 And then there's the ever-popular basket: everything from the laundry basket (empty or full) to the miniature baskets by Zara Thomson Ribeaud, which include this potato basket. Update on July 24, 2015: The full laundry basket is no longer sold. And staying in the kitchen, we can admire these miniature canisters, from Reutter Porcelain of Germany. Update on July 25, 2015: I'm not finding this canister set any more. 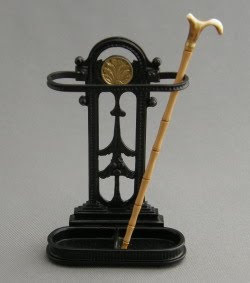 You can get a miniature umbrella stand, complete with cane, from Pinchbeck Miniatures. Update on July 25, 2015: Pinchbeck Miniatures seems to have disappeared — sadly, Tony Rivett of Pinchbeck has died — but this umbrella stand (or something similar) is available elsewhere. And let's not forget the clocks, so useful in organizing one's time. You can get mantel clocks, wall clocks, or longcase clocks - running clocks, in miniature. This miniature American banjo wall clock comes from Small-Time. 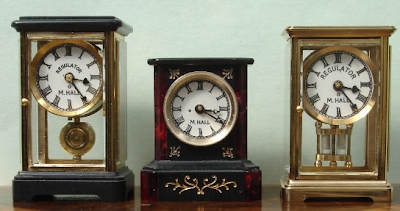 Halls Miniature Clocks is also worth a look. And finally, let's circle back to the furniture and admire this miniature Tudor oak court cupboard. Update on August 5, 2011: The site that sold this seems to have disappeared.